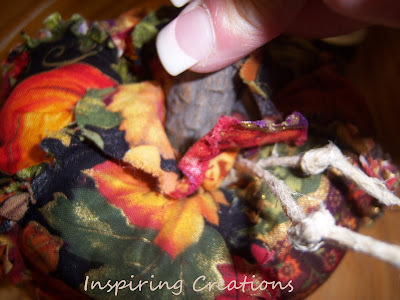 Today I spent some time with my mom and we made a fabric rag pumpkin! It was really easy and turned out so cute! I am going to have to make another one! Step 1: Make your pattern. 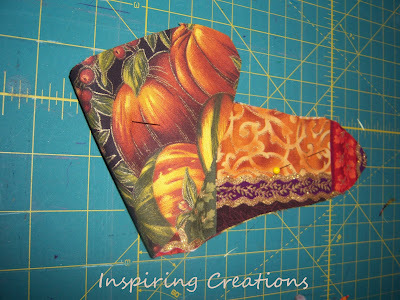 We had a fabric pumpkin that we kind of went off of and made a pattern out of that. 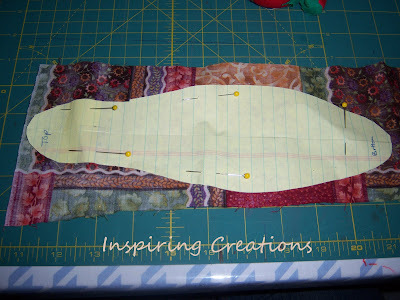 Step 2: Pin your pattern on your fabric and cut out. 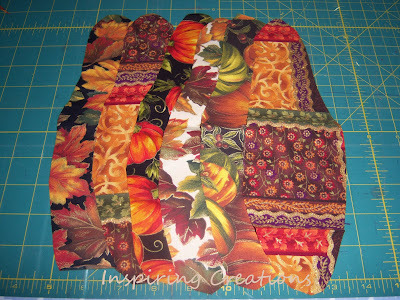 Step 3: Use 6 coordinating fabrics and cut the same pattern out for each fabric. 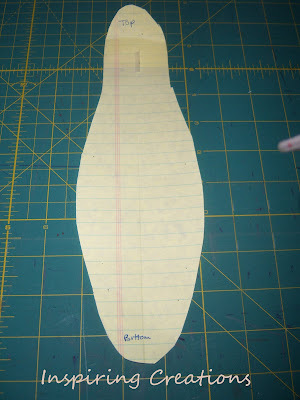 Step 5: Sew about a 1/2" seam and then add your next piece and sew that on until you've sewed all six together. 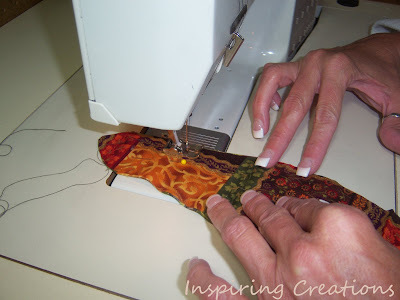 Step 6: Sew the first piece to the sixth piece so that you've sewed the whole thing together. 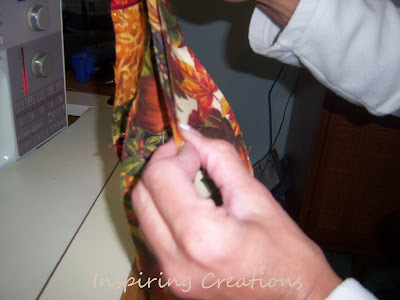 Step 7: To make it rag like, you will need to snip the fabric where you sewed your pieces together. 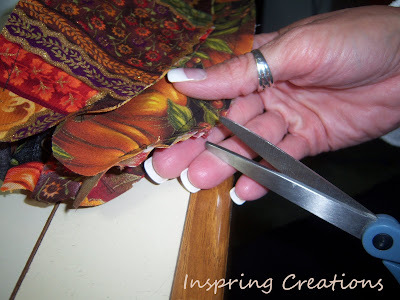 Snip it about every 1/4" careful not to snip your seams!! 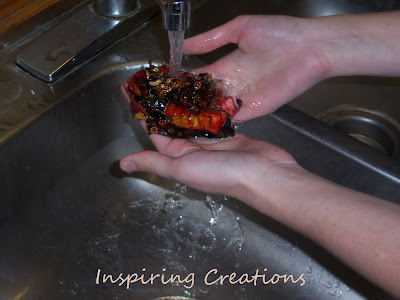 Step 8: Get your fabric wet and then put in the dryer. 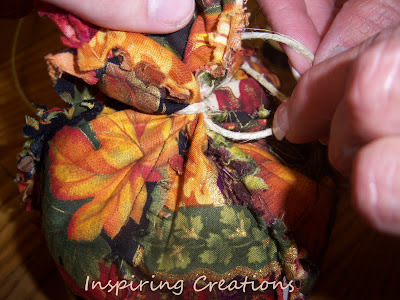 This helps the fabric fray better and make it more rag like. Step 9: Stuff your pumpkin with batting after you've dried it and then tie some string around the top of the pumpkin to gather all of the pieces together. Step 10: Hot glue a stem in the center of your pumpkin where you made your gather and that's it! 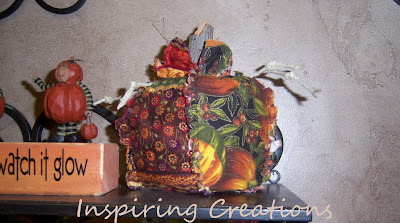 You could add some leaves or other embellishments to your pumpkin to make it even cuter!